Titan Trade Demo Account – Become a Pro Trader Now! 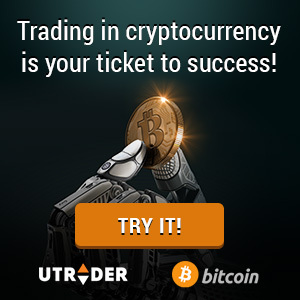 True enough, binary options trading are the simplest way to trade global markets and the most effective vehicle to make extra income over a short period of time. However, it is still as risky as any other method of trading. If you’re planning to get into binary options trading, the first and foremost thing you need to do is to understand how to trade binary options. Learn how the system works in real time and get yourself familiarized with the basic features of a binary options trading platform. Demo accounts can be a powerful tool for beginners and pro traders alike. Also called as practice accounts, demo accounts provide direct access to binary options broker platforms, allowing traders to carry out no-risk fictional trades. However, this service is not offered for free. Some demo accounts are limited with the opportunity to go premium or requires a Titan Trade minimum deposit to unlock the full features. Our Titan Trade demo account comes with all the professional services of our live trading accounts. It simulates actual trading, giving you a clearer visualization of how our platform works in real-time situation. You will be given access to the same information on asset’s market prices, trends and patterns as you would if you were actually trading. Here you will find a wide array of tradable assets as well as the trading instruments available in our trading platform. And because our demo account allows you to simulate actual Titan Trade trading, you will learn how to place a binary options trade, learn how to identify good assets, how much money to invest for each trade and which direction the asset will move. There are no time restrictions on the demo account and all the services that come with it, so feel free to use your practice account until you’re ready to trade for real. Having a reliable practice account will help you take the business more seriously. It helps you gain experience without the risk of shelling out real money and teaches you the basic concepts of binary options trading. Signing up for a Titan Trade demo account gives you a better chance at making substantial profits when you start trading for real. By availing our exclusive Titan Trade demo account, you will be able to analyze the factors behind sudden market movements and avoid common trading mistakes done by novice traders. Since your demo account is loaded with practice money, you will learn how to manage your investments prudently. Risking a specific percentage of your total capital on each trade is an advantage in times of constant losses because it lessens its impact. The absence of proper money management inevitably leads to loss after loss, so always keep your investments intact when placing your trades. Many of our beginners who sign up for our Titan Trade demo account learn the ropes quickly with the help of our multilingual experts, and are excited to begin trading binary options on their real trading account. Our demo accounts come with no financial risk, so there’s no reason not to take advantage of all the benefits they provide.